Blog > Christmas > Make it to Christmas Without a Crafting Meltdown! Make it to Christmas Without a Crafting Meltdown! Crafting for Christmas? We’ve got some suggestions to stop you from burning out before the gifts are finished! To get started, make the first of two lists. This first list is the dream list – who would you love to knit for, and what would you love to make them? Get it all out in this first list, all your idealistic plans – a delicious cabled sweater for Dad, a lace weight shawl for Mom, a scarf and mitt set for all of the children, a couple of cushions for your niece who has just moved house, a Christmas sweater emblazoned with Rudolph for a favourite uncle, socks for everyone, and of course, a new tree skirt, baubles, table runners, Christmas dishcloths, a Christmas sweater for the dog, a toy for the cat, and hopefully something for you to wear on Christmas Day! Next, make your second list and be realistic! Garments are extremely time consuming to knit, even when you have lots of spare time! If you want to knit a garment, choose the recipient wisely and start as soon as you can. Scarves and mittens are great, especially for knitting in the evenings when you’re watching TV and relaxing, or listening to your favourite audio book or music. Cushions and other home decor items can be thoughtfully matched to the recipient’s home! You can never go wrong with a hat! Work with patterns well within your skills – don’t attempt something new unless you are confident you can do it! How many of you end up buying a gift to go with your home made item? How many of you spend more on yarn for gifts than you would spend on a shop-bought gift? As much as we like to knit for the people we love, there is a financial cost as well as the outpouring of love that is woven through your stitches, and it’s important to acknowledge this when you’re buying yarn for these gorgeous gifts. For example, if you really want to make a pair of cashmere mittens for your niece, have a think – does it have to be cashmere? Merino wool is extremely soft. Might you be better off with something more practical for someone who is out in the snow walking a big dog? 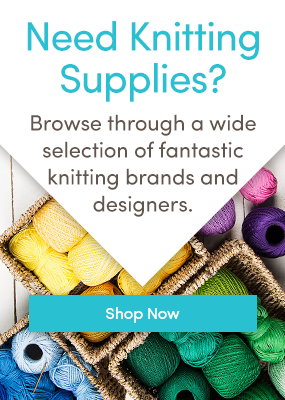 A choice that seems luxurious can end up costing more than you want to spend, so either choose a yarn that won’t be as expensive, or scout the sales and find what you need at a discount! Our fabulous Big November sale runs throughout the month and there are some wonderful bargains to be found! If you have any spare project bags, dig them out now…. Dive into your stash and bring out all the yarn that you think might work for your Christmas projects, and lie it out on a table or on the floor. Now sort it into yarn weights, and see if you’ve got enough for any of your planned patterns. If you’ve got something you can use, pop it into a spare project bag and attach a label to remind you what it’s for – and hopefully by the end of this process you might just have a line up of project bags just waiting for you to work from! If you’re knitting several DK weight projects, it might be wise to invest in another pair of 4mm needles, and check ahead with all the weights you’re using to make sure you have the right needle sizes. This will help enormously, because there is nothing as maddening as getting ready to start a knit and discovering you don’t have the needles for it! Some knitters might choose to start with the largest item first – but this isn’t necessarily everybody’s strategy! You might choose to start with the most challenging project first, to get that out of the way and not have it waiting half way down the queue! Most knitters do work on more than one project at once, and far from being frivolous, this is actually good practice. It helps to have smaller projects you can take out and about, such as hats, mittens and shawls, and projects you can work on in the day at home. Save your darker yarn projects for the daytime because they are much trickier to knit without good light. It shouldn’t be a chore! The last thing you want your festive knitting to be is a chore. Try to make it as enjoyable as you can, even those long hours of sleeve knitting, or working in colors you don’t particularly like! Be organized, and make it a pleasure – make yourself a cup of tea (or coffee/glass of wine/gin and tonic/hot chocolate/insert your favourite drink here!) and set yourself with snacks, favourite music, TV, Netflix, an audio book and try to enjoy it!